Wrinkles can make a face old and tired looking. To regain a smooth and even skin is the wish dream of many, many people. There are various methods to remove wrinkles or at least moderate them visibly. An application of either method depends on the area where the wrinkles are and on the age of the skin. 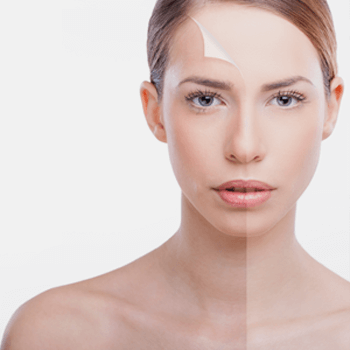 But, not only wrinkles, also bothering warts, annoying acne scars, sun- and age (senile lentigo) spots and unattractive skin irregularities can be removed or at least visibly improved with Laser treatment and/or Dermabrasion. Both methods have one common purpose: to excise the upper layer of the skin (epidermis) and at the same time stimulating the skin to regenerate. The treatment removes or at least visibly improves warts, acne scars, hemangiomas (birth blood marks), sun- and age spots by evaporating the upper layers of the skin. This method is especially applied for thinning out thick scar layers of e.g. burning or acne scars. Both techniques are rather painless and are carried out ambulatory. The new skin parts will be smooth and even, but also very sensitive to light for a few months. We recommend applying a good make up and sun protection on the treated areas for this period. All surgical treatments are carried out at the Red Cross Hospital. Local treatments can also be done in cooperation with Dermatologists.Narben.